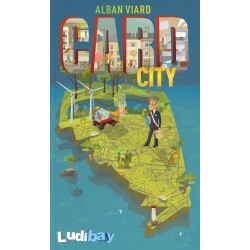 Card City is the part ONE of Alban Viard's "Small City" trilogy of games. It is a stand alone game. You will take on the role of the newly sworn-in Mayor. Your job is to encourage the growth of the residential, commercial, industrial and cultural districts that make up your home and to satisfy the demands of the city's residents. 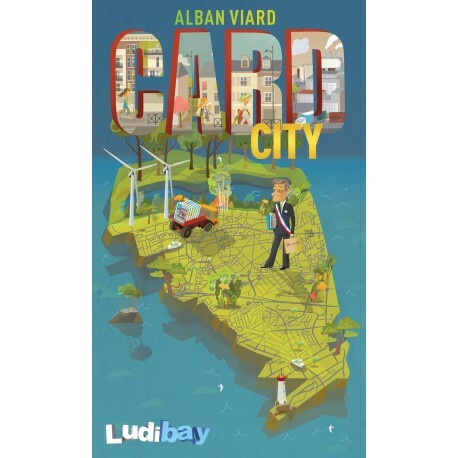 Card City includes six type of cards: Residences, Commercials, Industries, Leisure, Parking and City Hall. See the two other games of the trilogy Town Center, a 3 dimension version of Card City and Small City, a more complex tile laying game. See also Town Center, Clinic and Small City, all part of the same game universe.